Born in Suzhou, China, Kitty became artistic standout as a teenager in a nation of billions, winning awards for her painting and gaining entree into the top educational institutions. 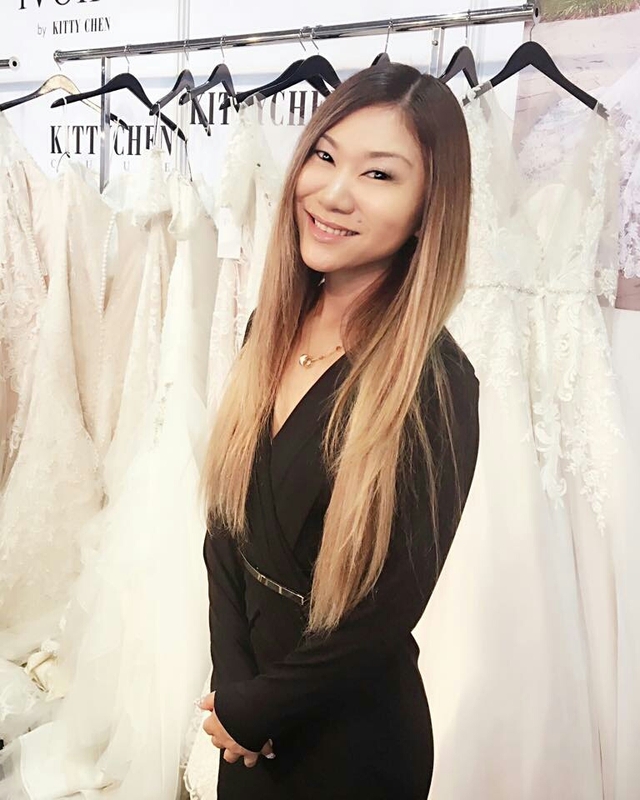 After emigrating to America in 2003 and committing to following her lifelong passion for design, Kitty quickly launched her first line KITTYCHEN COUTURE in 2004, and powered by its success followed it up with four more lines including KITTYCHEN, IVOIRE BY KITTY CHEN, GLITZ by KITTY CHEN, and most recently JESSICA MORGAN. Always keeping the end goal of ‘the perfect dress’ in the front of her mind, Kitty’s attention to detail and her skill at combining fabrics, laces, silhouettes and colors have set her apart from the competition. Kitty lives in Southern California outside of Los Angeles and despite working constantly, manages to maintain her own personal style and beauty while bringing the same to others.